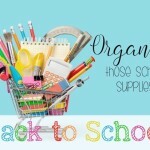 Back to school time is the BEST time of the year! Teachers are excited about a new classroom of eager learners and students are energized for a fresh start! 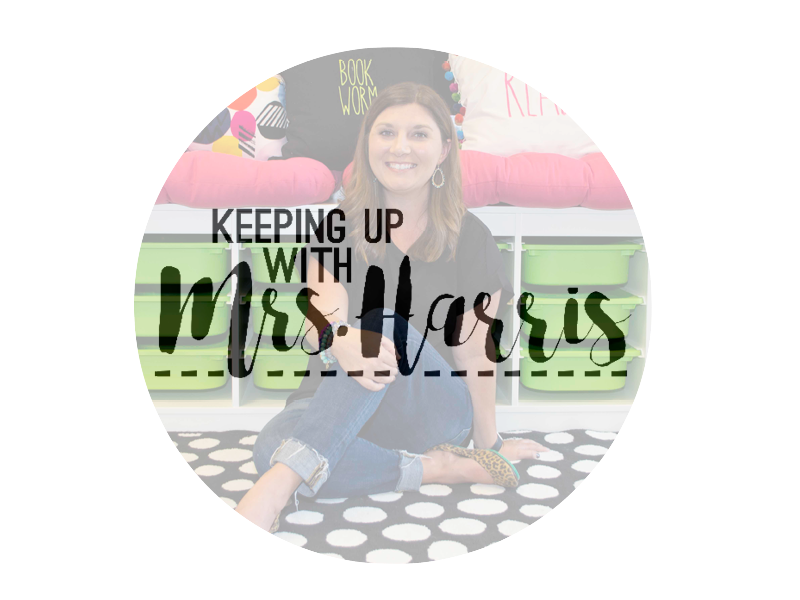 Let me help you put your best foot forward by sharing with you a few of my favorite resources to engage your students, stretch their learning, and excite them as they master skills and standards! Being a classroom teacher is demanding, busy, and straight up stressful. 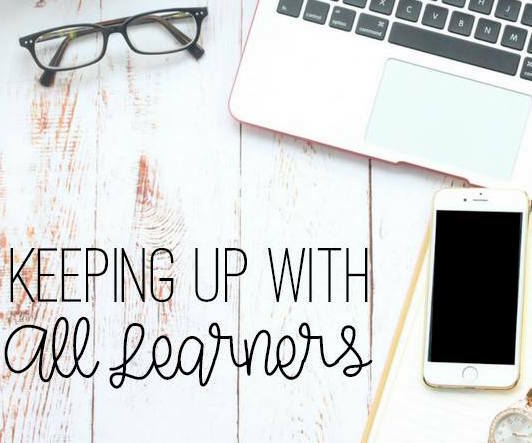 Lesson plans and small group plans can become so overwhelming and demanding that you don’t have time to make your centers or activities to go with your book studies or standards. 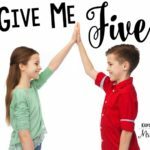 Here are my top 6 picks for helping you start the school year off right! Take a look! 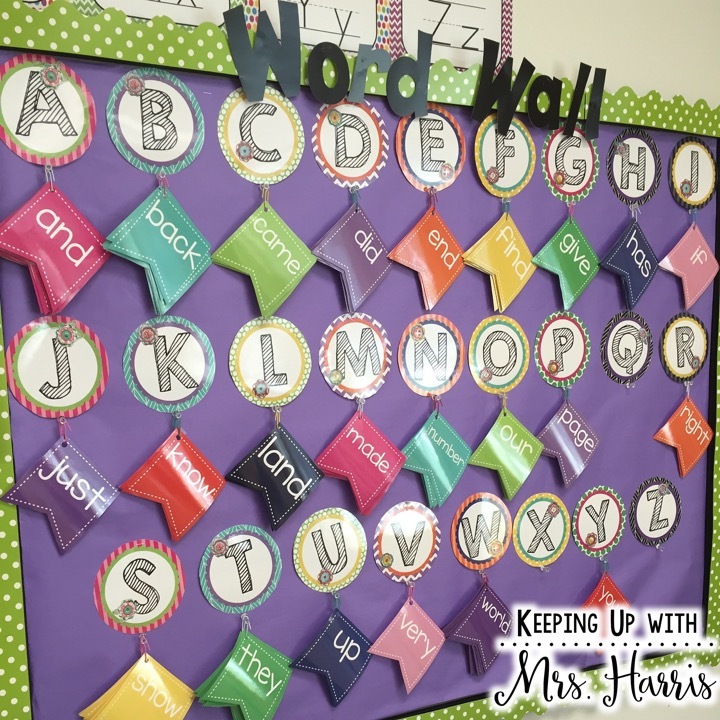 A word wall is a must in elementary school settings, but just a display does nothing for your classroom unless it is useable for your students. I got tired of my students complaining about not being able to copy from the word wall. I seriously rearranged my word wall a ton and even tried posting it on the ceiling (for real!). 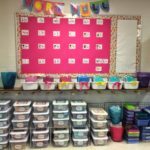 A friend requested a “portable” word wall where she could have the words on O-rings so her students could come and get the words they needed and take them back to their seat to spell! Interactive Word Wall turned out to be one of the best word walls we have ever used! This picture is actually a customer’s display. I love the purple and lime combo! 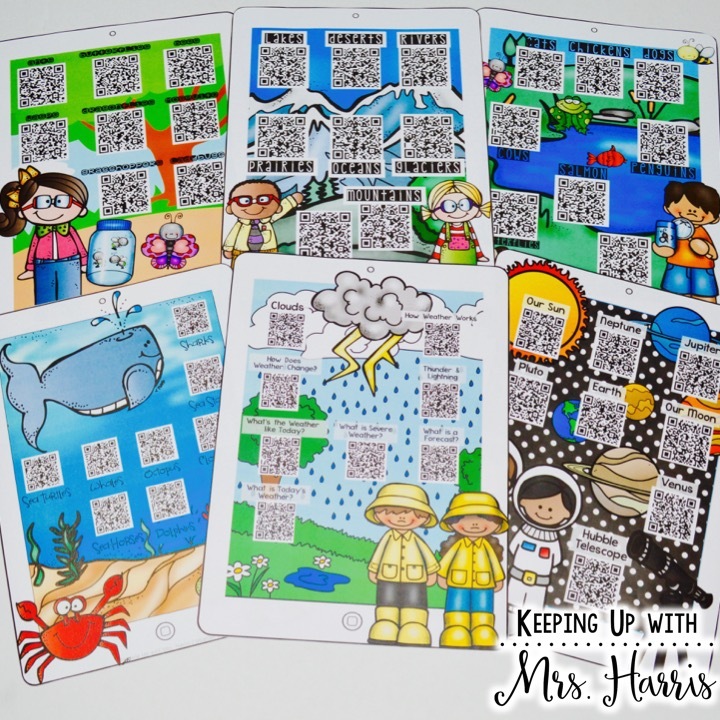 I switched my reading units from worksheets to lapbooks a couple of years ago simply because I wanted to have all the comprehension, vocabulary and higher order thinking activities in one adorable display. Students work on the lapbooks for several days or even up to a week so when they are finally finished, there is a lot of pride in their work. 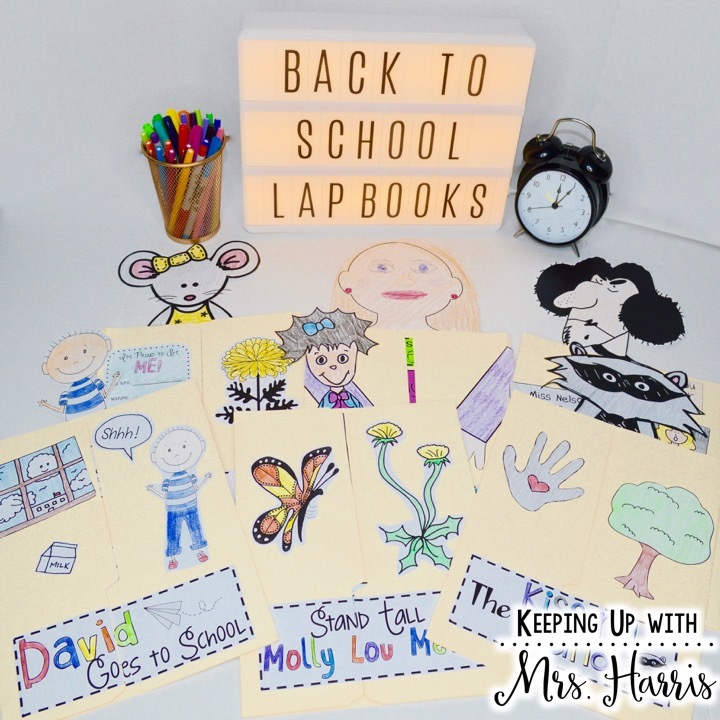 This Back to School bundle includes 6 books (Stand Tall Molly Lou Melon, The Kissing Hand, Miss Nelson is Missing, David Goes to School, Chrysanthemum, and First Day Jitters) that I always read the first month of school. Lapbooks are perfect for small group instruction with vocabulary and comprehension and literacy stations for the writing components. Parents love seeing them displayed and I always get so many compliments on how they excite and encourage learners. Teaching paragraph writing is hard y’all! However, I had great success by taking my tab books and then showing students how they can use what they wrote and put it into a three or four paragraph paper. 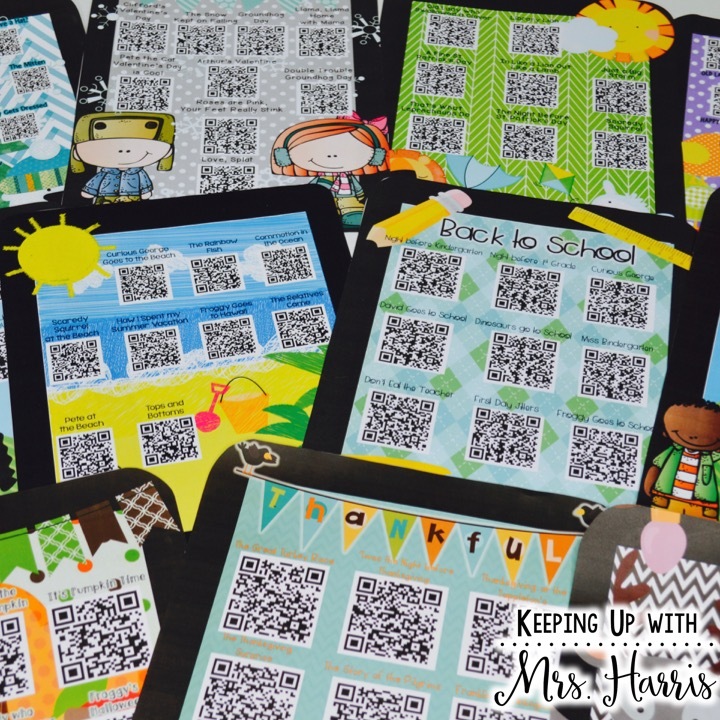 What my students love about these tab booklets is that they can really understand genres and the writing process when each tab is broken down. 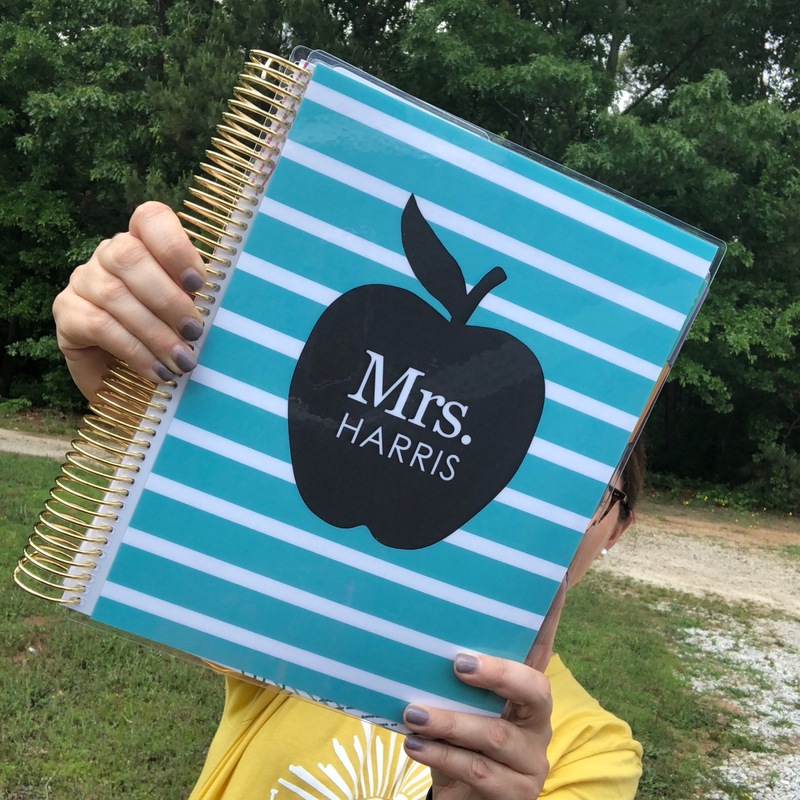 Want to get your students writing the first month of school? 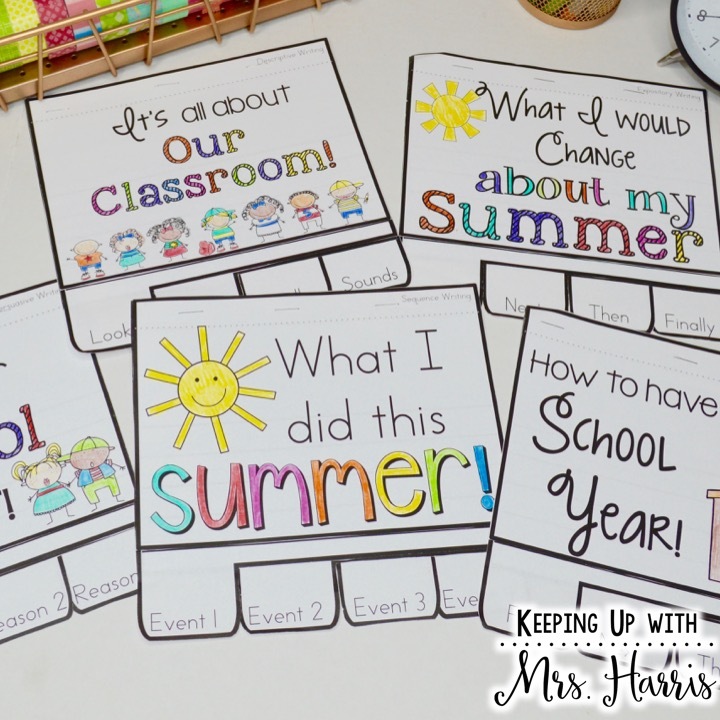 Let them share about their summer or how they feel about their new classroom! My best seller in my store are my listening centers! 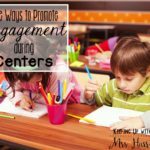 Teachers rave about how they save them so much time and energy throughout the school year. This makes my heart happy! I created these packs for struggling readers who are not able to read independently. Each QR code opens a video of a popular book being read for the student. After they listening to the story, there is an activity sheet for them to complete as an extension activity. Read more about it here! 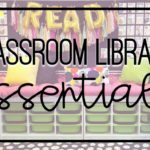 After much love and positivity about my listening centers, I decided that students need more nonfiction text and stories to build prior knowledge and vocabulary. So these newly added packs are JUST nonfiction books! Nonfiction Listen and Learn bundle has 6 packs – Insects, Landforms, Life Cycles, Ocean Life, Weather, and Space. Each pack includes 8 nonfiction books and worksheets with color by number activities. What can you do with these packs? 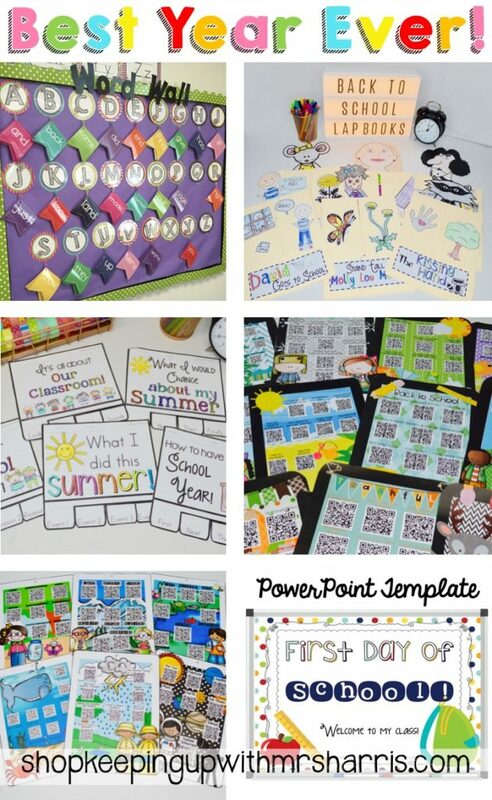 These are wonderful for research projects, writing topics, and extending learning for units that you teach in your science or social studies classes. Read more by clicking here! The first day of school can be very scattered. Wouldn’t it be nice to have everything in one place or in one presentation. 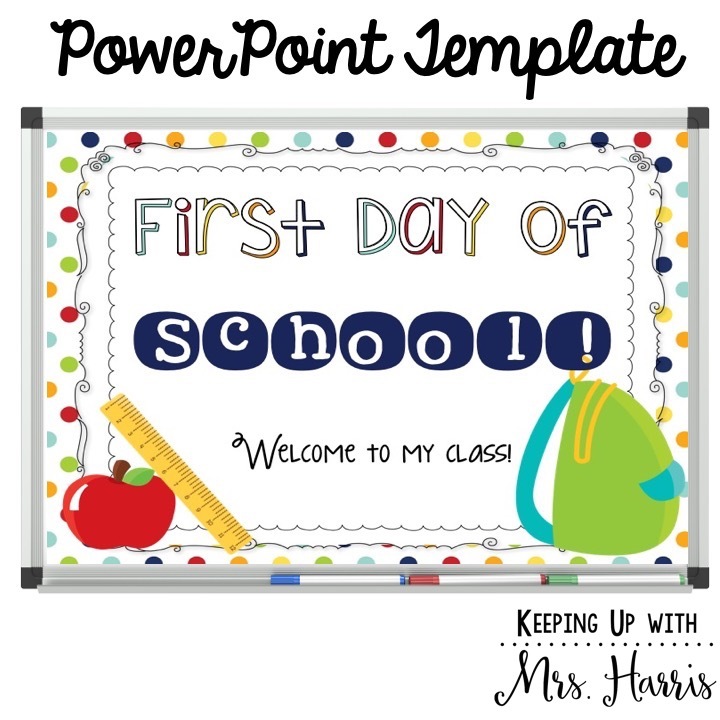 I *think* that I have covered it all in this First Day of School powerpoint template. Cover your rules, procedures, and get to know you activities as well. Just type your own information onto the slides and you are ready to go! It doesn’t get any easier than that! Guess what? 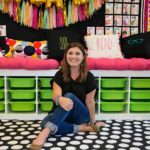 There is a one day sale on Teachers Pay Teachers August 22nd where you can SAVE 28% using the code OneDay at checkout. All of these packs will be marked down as well so you can enjoy additional savings! Now what is your favorite pack? Comment below and let me know what you think!